L-Caritine is a non-essential amino acid that helps to maintain overall good health by facilitiating the transfer of fatty acid groups into the mitochondrial membrane for cellular energy production *. It naturally occurs in red meat and other animal-source foods, but we recommend supplementation to obtain optimal levels of this excellent amino acid. 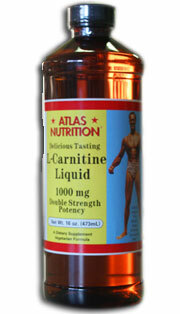 The Atlas Nutrition L-Caritine 2x Liquid provides double (1g) the potency of competing brands per serving size. L-Carnitine is a very popular supplement that promotes growth and development. 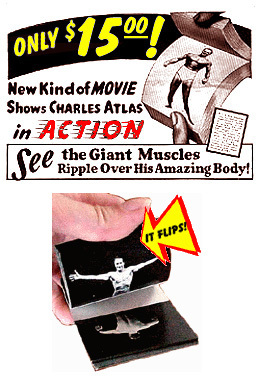 It is also used for fat-burning, increasing energy, and improving resistance to muscle fatigue. 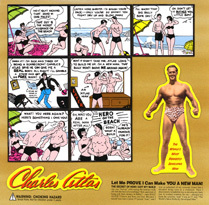 Studies have been conducted on L-Carnitine since 1937. They show that the body's cardiovascular system can greatly benefit from its intake. The FDA has approved L-carnitine under the name Carnitor for use in treating heart disease and low energy levels. Are there any side effects and how much should be taken? Between two and four grams of L-Carnitine should be taken one hour before exercise, for two weeks.